This is a whisky I tasted shortly after arriving in Scotland, almost 2 years to the day, so it seems fitting that, having to leave Scotland earlier today, I have been revisiting all my old favourite bars, places, drams and people. On a side note, to all those who work behind those bars and have put up with my loud ranting and raving of different drams through the last few years, thank you. You guys were the best, and it is my hope that I can returning to the Sunny Shores of Leith sooner rather than later. The Gaelic word ‘Moch’ means Dawn, and I like to think that in pouring this for myself I am pouring myself part of my new dawn. I doubt it will be as good as this one. But you don’t go to a bar to listen to me rant (maybe), and you don’t visit my site to hear about it either. You do both for the whisky. So, the Caol Ila Moch. All in all, I like to think it represents a new dawn for the distillery. I often hear people say that they don’t like anything peaty or smoky, and while I do believe peated whisky is an acquired taste, there are some big peaty monsters on the market that any newcomers will taste, and cough thoroughly, as though they put their mouth over the back end of a car exhaust (Laphroaig and Ardbeg, I love you, but you’re not for newbies). The Caol Ila Moch is something I would give to a person “doesn’t like peated whisky”; it’s neither heavy enough to cause the aforementioned cough, nor is it as light or delicate as some of the peated malts from the Mainlands, rather smooth and subtle while still being a whole lot of fun. It is definitely an Islay, though soft and mellow. It comes from the seaside, but the barnacles have yet to find their way into the whisky. We tend to give Caol Ila a hard time due to the holding company, and the blending it is often used for (a top hat and cane comes to mind), but that doesn’t make it a bad whisky. On the contrary, it’s a more than perfectly adequate, great dram. And that’s really all there is to say about that; ignore what the whisky’s exterior, the label, and the name, and enjoy it for what it is on the inside. Because If you don’t, I will, and I don’t tend to share my whisky. Oh, and one final note; thanks to all my readers for sticking with me over last few tumultuous weeks and months. You guys really make all the drinking, ranting, raving and writing worth it. Once I am back in my whisky home, I’ll treat you all to a round of whisky. Slainte. I mentioned earlier this is unmistakably an Islay, and for good reason. The nose is all old washed up kelp greeting you for that late midday surf, the leftover logs of a bonfire fed on newspapers, dried seaweed and moss still steaming behind you after a light shower and high tide did its best to put it out. Putting our nose to work some more, we get that signature Caol Ila brine, we get rainforest notes of steamy green vegetation, riverside moss growing slippery over volcanic rock, and light touches of mould and a nice wheel of cheese (I am informed a mouldy cheese is a nice blue). If you like you’re whisky with water, you’ll find the reduced nose to be more of apple and pear slices, although it does tend to wash away the peat that makes a firm base. Now on the palate we head into the good stuff, with the smoky remains of an old driftwood built beach shack, burnt up long ago but still clinging to that charcoal. We broke down what burnable wood remained and used it to light a fire in our bellies, the salt licked, colourful flames running through our mouths and down our throats. Old tarry rope, oily and scaled fish on a windswept coastal beach. The malt comes through intensely, a whopping great rush of toasted, peated barley almost crackling on the tongue, and a good buttery finish with touches of chocolate in an old fireside armchair after a busy day of paddling up and down a remote coast. All in all, a stunning whisky. 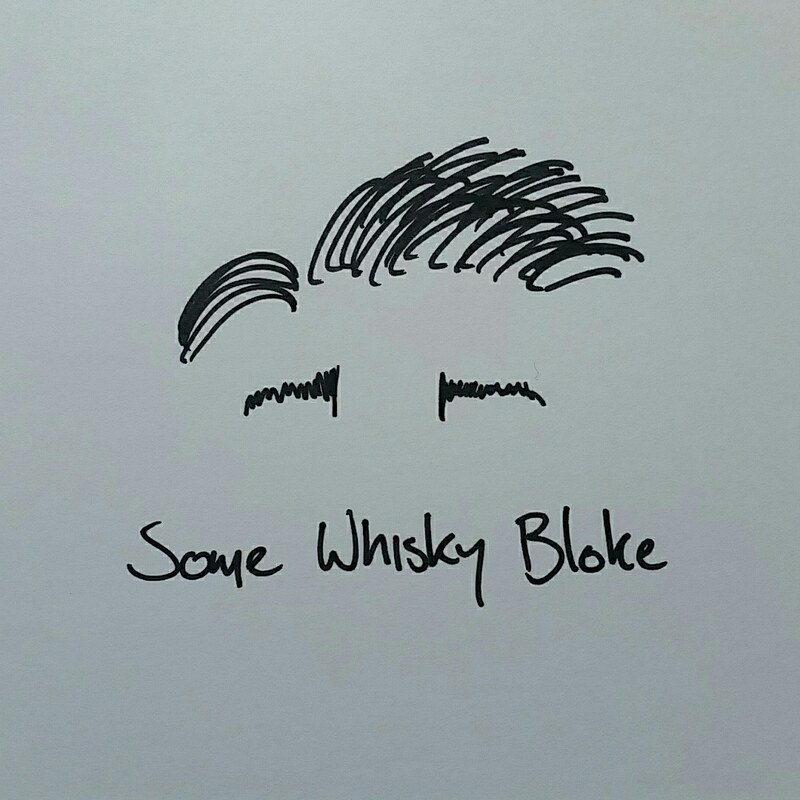 I had an argument with my bartender Ed (himself also sadly off, we’ll raise a glass together sometime soon, mate) about the dram after hours once; he didn’t think it to be a spectacular whisky. And yet, we spent the entire night arguing about the flavours, the notes, and whether a giraffe or kangaroo would make a better astronaut (maybe a touch too much Moch), and in the end, that to me is what a brilliant whisky is all about – never wanting to finish, discussing for as long as you can, crazy arguments with ONE DISTINCT ANSWER. And this surely is one of those whiskies. Thanks for everything guys. A new dawn for myself, Ed, old and new dram fans alike. May the sun never set on whisky.